To celebrate the Blu-ray and DVD release of The Theory of Everything, out 11th May, we took a look at some of the inspirational and influential women that have been the driving force behind their Male counterparts. 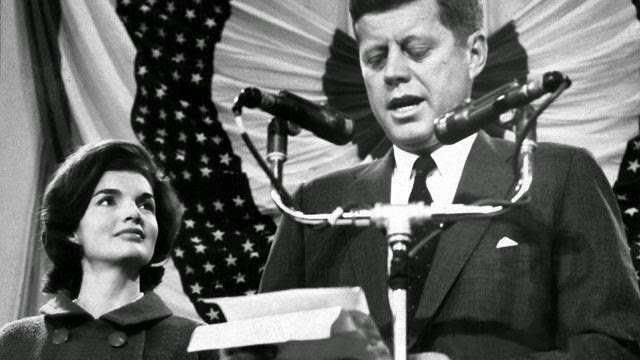 Jackie was the First Lady and wife of the 35th President of the United States, John F. Kennedy. JFK was in power from 1960 until his assassination in 1963. Jackie was remembered as one of the most popular First ladies in American history, perhaps due to her skill at entertaining. Jackie proved quite popular among international dignitaries. Brad and Angelia didn’t start their relationship in the most admired fashion, Brad was married to America’s sweetheart Jennifer Aniston at the time of meeting Angelina. Angelina Jolie a successful actress and director, stole the heart of Brad on the set of Mr and Mrs Smith. Together they now have 6 children and have recently been married. Coretta an activist and a key leader in the Civil Rights Movement in 1960, met Martin Luther King in college. 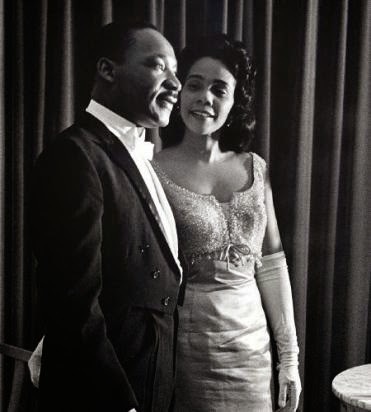 Coretta’s support for her husband and the fight for racial equality continued after Martin’s tragic death in 1968. She honoured Martin’s legacy by founding the King Center and also succeeded in having Martin’s birthday become a National holiday in America. Victoria rose to fame in 1990 with her all-female pop group The Spice Girls. After meeting popular footballer David Beckham in 1997, Victoria quickly became the driving force in becoming one of the most loved couples and families in the world, originally dubbed Posh & Becks by the media. Both very successful in their own right, Victoria has not only managed her husband’s career she has started paving the path for the careers of her sons Brooklyn, Romeo and Cruz to by securing endorsement deals and becoming successful models. Kate Middleton not only captured the heart of the very eligible Prince William, she won over the world with her kind nature and humble background. 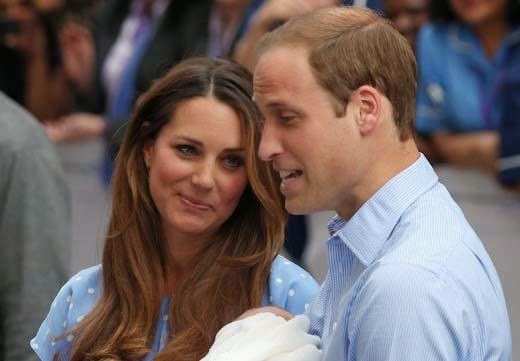 Kate Middleton has recently given birth to her and Will’s second child, Princess Charlotte. Beyonce and rapper Jay-Z started a relationship after collaborating on song, Bonnie & Clyde in 2002. 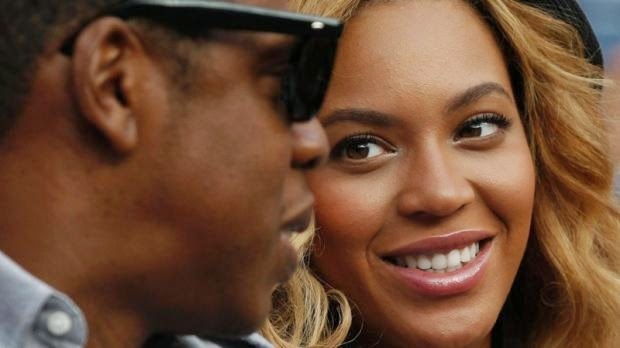 To date the couple have sold over more than 300 million records together. A self-described "modern-day feminist", Beyoncé writes and performs songs that are often characterized by themes of female sexuality and empowerment. 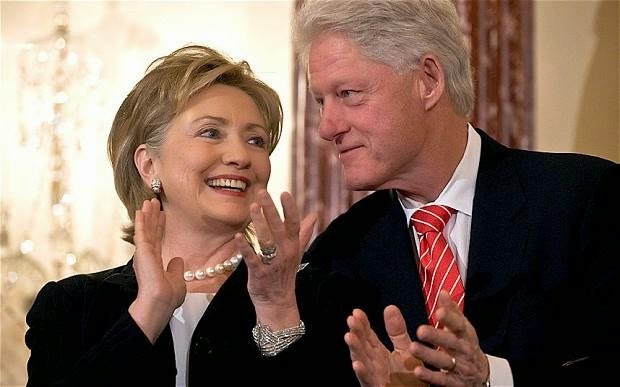 Hillary, was the first Lady of United States of America from 1993- 2001 supporting her husband Bill through thick and thin during his Presidency. She has since become the first women senator on the only ever First Lady to have run for public office. Leaving office at the end of Obama's first term, she authored her fifth book and undertook speaking engagements before announcing her second run for the presidency in April 2015. Jane Wilde Hawking is the first wife of Professor Stephen Hawking. They met at college through mutual friends and later married in 1965, shortly after Stephen was diagnosed with Motor Neurone Disease. Jane supported and cared for Stephen during their marriage in dealing with his disease and still remain very close friends. In 2007 Jane wrote her memoir Travelling to Infinity: My Life with Stephen, which was then adapted by Anthony McCarten and became the Academy Award winning film The Theory of Everything starring Felicity Jones & Eddie Redmayne.